The FLiP Files is a blog series spotlighting young professionals who are active in PLASTICS' Future Leaders in Plastics (FLiP), a group for plastics professionals under the age of 40. For this FLiP File, we spoke to Max Preston, director of marketing and sales at Smart Attend, Inc. Smart Attend, Inc.—an offshoot of Axiom Group, Inc.—produces and installs manufacturing monitoring systems in industrial settings around the world. Their systems allow for wireless communication with and efficiency data collection from the shop floor. How did you find yourself working in the plastics industry? My interest in manufacturing started at an early age with a love for the television program, “How It’s Made,” but my introduction into the plastics industry came from a chance encounter with Perry Rizzo, the president of Axiom Group, Inc. at an engagement party. He asked me to come work for him in marketing at Axiom. At that time, Smart Attend was merely in the early stages, but for the next few years I worked on a team of three people to expand on that idea and build Smart Attend, Inc. from the ground up. Has anyone in the industry mentored you? My mentor in the industry has been Axiom Group President, Perry Rizzo. Perry’s knowledge and experience has given me the confidence to challenge myself in difficult situations and the tools to grow alongside Smart Attend. Without Perry and his guidance, I would not have the opportunities in my career that I have been given at such a young age. Describe what you do on an average day. A word that really defines my day is collaboration—we’re constantly collaborating and communicating internally and with our customers to find new ways to make our products more beneficial for the industry. I spend a good portion of my day in roundtable meetings, developing informed strategy based on marketing data I’ve gathered and analyzed to take our company to the next level. When I’m not in meetings, I’m visiting various facilities and shop floors to assess our product’s impact in action. What do you like most about working in the plastics industry? The variety. Every day is something new and there is always more to learn. I get to live out that childhood interest in manufacturing, and that little boy in me who loved watching “How it’s Made” gets excited every time I work with new machinery, processes and pieces of equipment. What’s one thing about your personal life that you feel has been changed by having a career in plastics? My career in plastics manufacturing has opened my eyes to the design, engineering, tooling, processing, inspection and assembly that goes into every plastic product that we use day in and day out. Being in the industry has made me value those items even more. What are the major challenges you think are facing the plastics industry today? How do you think the industry can overcome them? One major challenge is attracting young people who have the skill sets our industry needs. To get this younger audience interested, we need to communicate what a career in plastics can be—innovative software coding, world-changing sustainability and recycling work or high-tech Industry 4.0 development. Why do you think someone from your generation should consider a career in plastics? 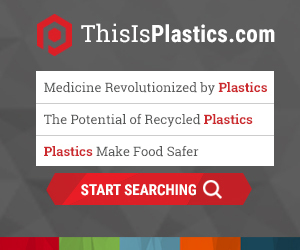 The plastics industry is one of the most high-tech industries I’ve ever seen. Many don’t realize that when you pursue a career in plastics, you’re getting in on the ground floor of Industry 4.0, artificial intelligence and smart technology development. Not to mention, as a member of the industry, you have the opportunity to make a world of difference in terms of sustainability and recycling innovations. The industry is craving fresh talent with innovative ideas and there is endless opportunity for folks who can deliver that. What’s one plastic product you couldn’t live without? My injection molded iPhone case—I am notorious for dropping my phone. It’s a life-saver!